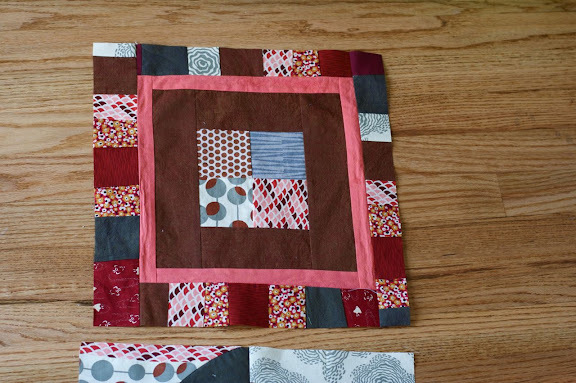 i don't know what i was thinking when i signed up for 3 quilting bees. i enjoy them all, but throw a busy month in there, and it can be a little overwhelming. this past weekend i got myself completely caught up!! being caught up feels really good! I love the one on the bottom - it looks like you're looking out a window at the birds. Too cute! oooooh! this post was like a dessert buffet for me! each one lovely in its own way. beautiful. These are all so beautiful. I love the one of the birds in the window. Wow! That is a lot of quilting bees! You're doing a great job though. Three bees! They are all beautiful! LOL I tell myself the same thing since I signed up for 3 at the same time! I love all of your blocks!!! Oh I imagine you do feel great!! They are all so wonderful in different ways. I've have missed your posts, lol. You must be a very busy lady. Know what you mean ;-) Hopefully this month will be a bit quieter and I will actually be able to do some sewing for me! Love all your blocks though. Must have been a busy weekend! very nice and creative. I like the second one best!! I'll try (if I may) to follow your footsteps. Oh, that's where you've been...busy. And it's spring. I like the little blocks, great for left overs...yum. I love these! 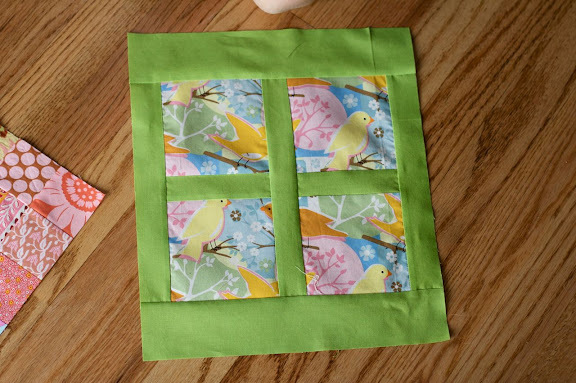 I especially love the birds in the window but I also like the curved piecing one and the pink patchwork one. My you've been prolific! 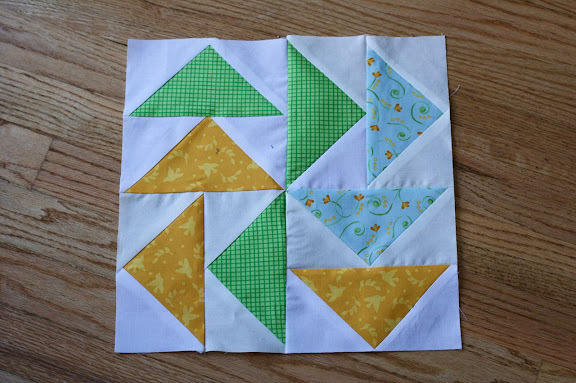 I especially like the green and yellow and white triangle block. Very pretty! I actually like the second last one with all the one inch patches. I appreciate the fussy cutting! these are all so great. 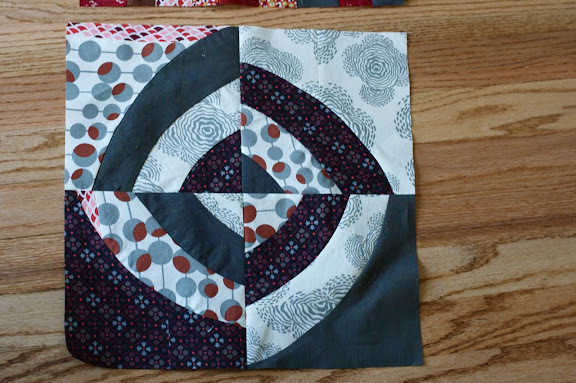 i do love virtual quilting bee's. glad you you are caught up. I love all of them! Love the birdies in the window. 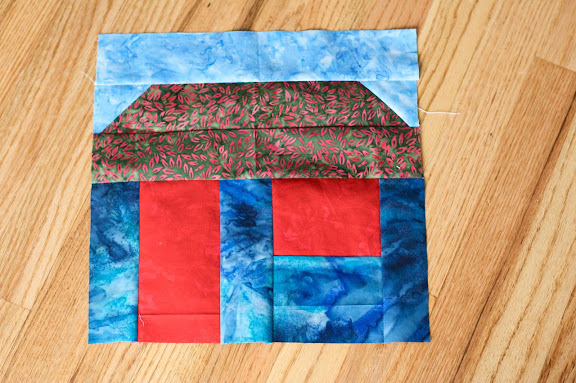 hey Nettie-- Now that I see your little birds block I realized that I got some of that fabric too but not instruction. What are we supossed to make out of it? any block? and 12.5 finished size? I sent my 16 patch in but the birds totally slipped my mind. They are so cute! I love them, you've given my lots of inspiration, that's what's so nice about discovering new blogs!! Seus blocos estão muito bonitos. 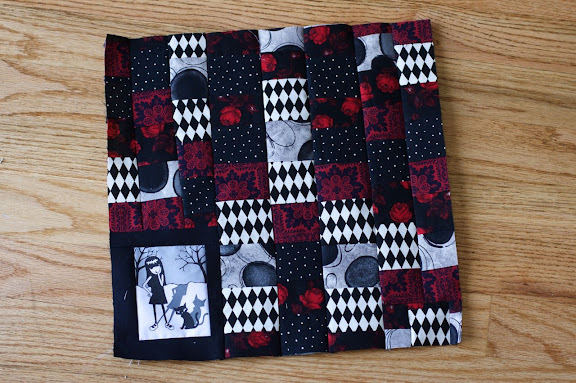 I want Emily the Strange fabric!! Where did you find that. they are cute blocks. 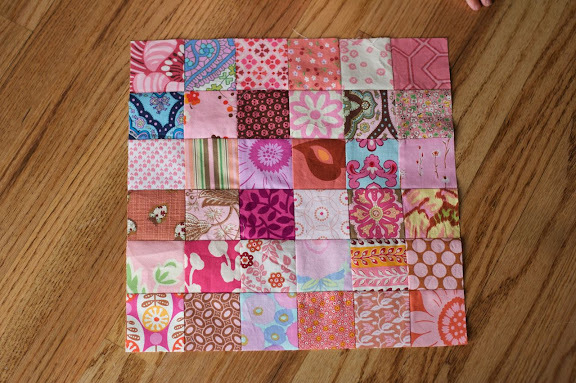 i love the simple patchwork one in pinks. so sweet. i agree, getting caught up feels really really good! I love the bird window frame one. So lovely. good for you getting caught up! i'm in 3 too and some months it's really hard...you wouldn't think so, but time gets away and it sneaks up on you. I love the bird in the windows. What's the name of the bird fabric? So many pink fabrics!! You must have quite a stash and scrap bin!